1929 Rosemont brick charmer! 3 bedrooms/2 full baths including master suite with generous closet space on top floor. Bumper back main floor offers spacious living room with wood burning fireplace, formal dining room, eat-in kitchen with granite counters, breakfast bar, stainless steel appliances., family room with built-ins and two multi-purpose rooms that could be used as home offices or a fourth bedroom. One with a half bath. Basement is partially finished with generous unfinished storage space and washer/dryer. The house sits on a 6,000 sq ft level lot which is fully fenced featuring a patio, grassy yard, play house and a stamped concrete driveway which leads to a detached garage. Feeds into highly coveted Maury Elementary which is just a few blocks away. Directions:From Old Town: west on King Street, Right on Russell Road, Left on W Myrtle Street to 308 on left hand side. SchoolsClick map icons below to view information for schools near 308 Myrtle St Alexandria, VA 22301. 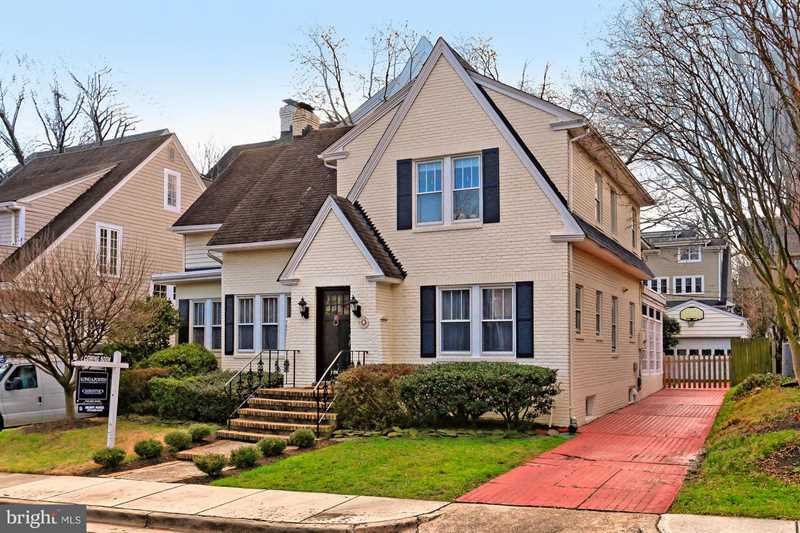 Home for sale at 308 Myrtle St Alexandria, VA 22301. Description: The home at 308 Myrtle St Alexandria, VA 22301 with the MLS Number VAAX169104 is currently listed at $1,075,000 and has been on the Alexandria market for 86 days. You are viewing the MLS property details of the home for sale at 308 Myrtle St Alexandria, VA 22301, which is located in the Rosemont subdivision, includes 3 bedrooms and 3 bathrooms, and has approximately 3033 sq.ft. of living area.